One day walking back home from the office, Medvedik questioned himself whether he was missing the point of enjoying life in Dubai. He felt that he perhaps was spending too much time in front of his computer, and perhaps a little too less time to pamper himself. He was looking for a quiet, quite reserved place to think about his life and values. He arrived home and checked timeoutdubai.com for a good restaurant to spend a relaxed evening. He scrolled down couple of offers and came across a lovely restaurant in the middle of the golf courses. He called to book a table and went down to catch a taxi. Medvedik jumped out of the taxi and looked around. It felt like he was in a different city – greener, quieter and more relaxed. He was seated at the table next to the golf field. 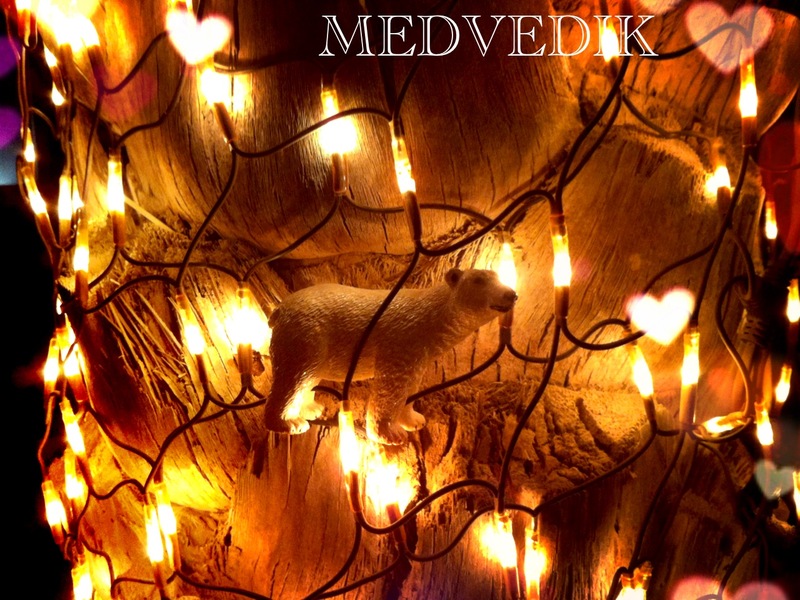 Medvedik looked through the menu and decided to choose something light and vegetarian, because he read an article that stated the fact that eating less meat would help polar bears. This is why Medvedik ordered a lasagna with vegetables and a green salad. The ambiance of the restaurant appealed to Medvedik – he liked the soothing noise of golf clubs knocking on the balls. 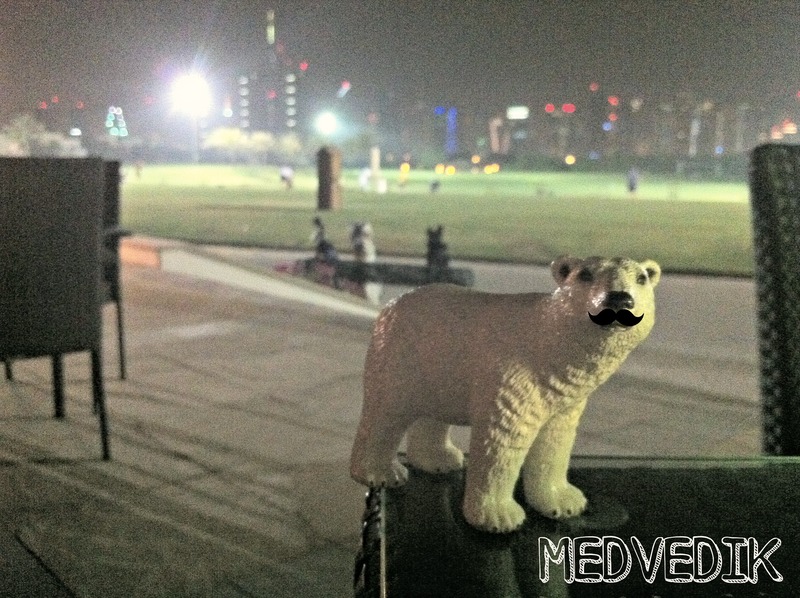 The city was far away, giving Medvedik a chance to catch his breath. Medvedik nibbled a little bit on the peanuts, waiting for his food to arrive. The service was excellent – not obtrusive, but friendly and helpful. Medvedik got freshly baked bread along with homemade butter and tomato sauce as a compliment from the restaurant. The bread was so warm and smelled so good that Medvedik ate all four pieces at once. Couple of minutes later his food was brought to the table – fresh rocket leaves over the piece of vegetarian lasagna. “Perfect for a night like this”, – thought Medvedik, swallowing each piece of the delicious dish. As Medvedik put the last slice of lasagna into his mouth, the lights on the golf course were turned off. Medvedik felt happy and full, he hoped that he had helped the planet a little bit today, saying no to meat. He knew that there was another thing he could do to lower the carbon footprint and to keep him fit and healthy – he needed to walk home on foot. Medvedik barely had energy for doing that, but he wanted to be a good bear. So to boost some energy to his beary body, he decided to go hug a tree. Filled with the palm tree energy and love, he directed his pads home… ready for new flavours, experience and adventures. This entry was posted in Flair for Fun and tagged chilled evening, dining, dubai, lasagna, lower co2 footprint, medvedik, mongomerie, night, polar bear, restaurant, the address hotel, the greens, timeout, tree hugger, vegetarian. Bookmark the permalink.